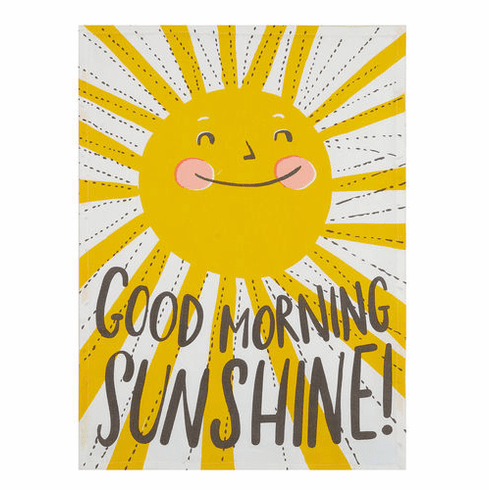 Good Morning Sunshine 100% cotton kitchen towels just makes us happy to start our day! This sunny kitchen towel is the perfect way to put a smile on your face as well as everyone you know...almost makes us joyful to do the dishes ! Towels measure a generous 18 x 25"